Falcons wide receiver Mohamed Sanu is expected to miss two-to-three weeks with a hamstring injury, reports Vaughn McClure of ESPN.com, while defensive lineman Jack Crawford has a biceps issue which “doesn’t look good,” a source tells McClure. Atlanta is “planning on moving forward” without Crawford, tweets D. Orlando Ledbetter of the Atlanta Journal-Constitution, an indication Crawford could be done for the season. Sanu’s injury is doubly concerning given that Falcons No. 1 wideout Julio Jones left the club’s Week 4 loss with a hip flexor. Jones is not expected to miss any games, but his health history isn’t exactly promising. 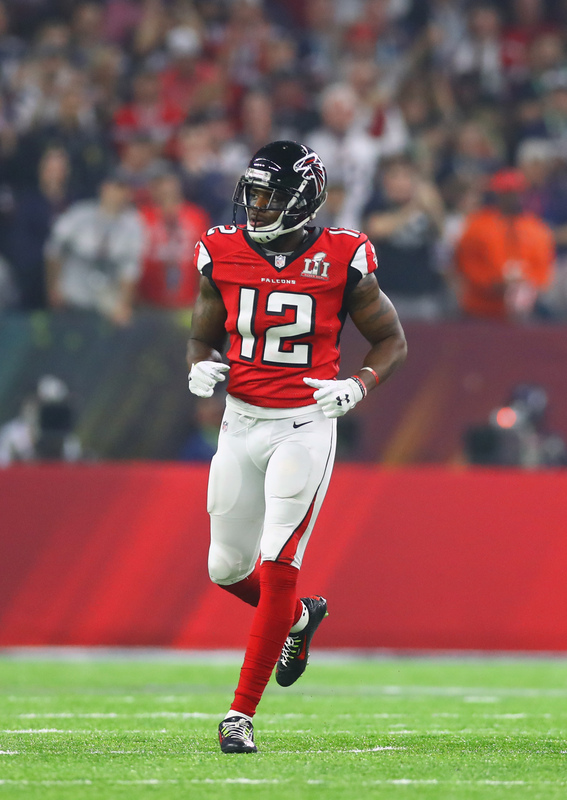 Without Sanu, Atlanta will turn to Taylor Gabriel, Justin Hardy, Andre Roberts, and Nick Williams to play more snaps. Through four games, Sanu had managed 16 receptions for 163 yards and one touchdown. Atlanta’s defensive line hardly withstand another loss, as Vic Beasley will be sidelined for another three weeks or so while Courtney Upshaw is also dealing with injury. Crawford, who signed as a free agent this offseason, has played on roughly 40% of the Falcons’ defensive snaps, but graded as just the No. 82 interior defender among 120 qualifiers, per Pro Football Focus. Head coach Dan Quinn will meet with Falcons general manager Thomas Dimitroff about adding defensive line reinforcements, per McClure (Twitter link). The obvious free agent solution could speculatively be Dwight Freeney, who appeared in 15 games for Atlanta in 2016. Quinn said last month that the Falcons are still in contact with Freeney, but the club had no interest in signing him at that time. The Falcons have signed former Cowboys defensive lineman Jack Crawford, reports Albert Breer of TheMMQB.com (via Twitter). It’s a three-year contract for the 28-year-old. The former fifth-round pick had spent the past three seasons in Dallas. After missing most of the 2014 season, the lineman played in all 32 games over the past two years. In 10 starts this past season, Crawford compiled 25 tackles and 3.5 sacks. Pro Football Focus graded the veteran as the NFL’s 106th-best edge defender in 2016, and Crawford earned admirable marks for his pass coverage. Crawford should provide some depth to the Falcons, who are currently rostering defensive ends Adrian Clayborn, Brooks Reed, Courtney Upshaw, and Derrick Shelby. Cowboys defensive end Jack Crawford has interest from roughly five teams, Jason Cole of Bleacher Report tweets. There’s a chance he could return to Dallas, but the Colts, Bills, and Jaguars are also in play for his services. Last year, Crawford re-signed with the Cowboys on a one-year, $1.1MM deal with a $240K signing bonus. This time around, he could command more money. Crawford, 29 in September, made a career-high eleven starts in 2016 and had 25 tackles with 3.5 sacks. Giants kicker Robbie Gould will test free agency, according to a source who spoke with Jordan Raanan of ESPN.com. Gould, 35, did not miss a single field goal attempt in his lone season with the Giants. Including the playoffs, he went 12-for-12 on three point tries, with a long of 47 yards. He made 21 of his 24 extra point attempts. The Giants do have a kicker signed to a futures deal, but it sounds like they might be the market for a proven leg. Free agent defensive end Greg Hardy sat down for an interview with Adam Schefter of ESPN (video link) and claimed that he never put his hands on his alleged domestic assault victim. Hardy had another solid season as a pass rusher in 2015, recording six sacks, a forced fumble, and an interception in 12 games for the Cowboys. However, he remains on the open market thanks to his reputation for being difficult in the locker room and the PR backlash that his signing would bring for a team. The Cowboys will bring in quarterbacks Jared Goff, Carson Wentz, Paxton Lynch, Christian Hackenberg, Connor Cook, and Jacoby Brissett for visits, as Todd Archer of ESPN.com writes. Hackenberg, Cook, and Brissett could be had later in the draft while Goff, Wentz, and Lynch are likely first round picks. Laquon Treadwell will visit with the Cowboys tomorrow, according to Rand Getlin of NFL.com (on Twitter). Shaq Lawson‘s long anticipated visit to the Cowboys took place on Monday, as Ian Rapoport of NFL.com tweets. Alabama running back Derrick Henry will visit the Cowboys this week, as Ian Rapoport of NFL.com tweets. Aaron Wilson of The Houston Chronicle (Twitter links) has the details on Joe Looney‘s two-year contract with Dallas. The interior lineman will get $1.675MM with a $100K signing bonus and salaries of $775K and $800K. He’ll also get a $250K play time incentive in 2016 and a $500K playtime incentive in 2017. Jack Crawford‘s one-year deal will pay him $1.1MM but he can earn up to $1.6MM through incentives, Clarence Hill of The Star-Telegram tweets. The Giants have agreed to sign offensive lineman Ryan Seymour, as Ralph Vacchiano of the Daily News tweets. Seymour, a veteran of five NFL teams over three seasons, was non-tendered by New Orleans in March. The Lions have agreed to sign former Cincinnati defensive end Wallace Gilberry, according to Ian Rapoport of NFL.com tweets. The one-year deal is worth up to $1.75MM. 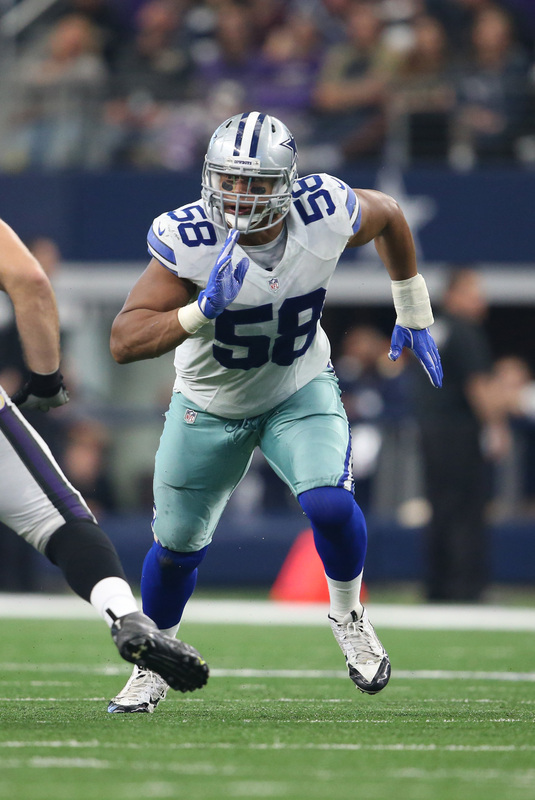 The Cowboys will re-sign defensive lineman Jack Crawford, as David Moore of the Dallas Morning News tweets. It’s a one-year deal, as Todd Archer of ESPN.com writes. The Jaguars announced that they have claimed tackle Tanner Hawkinson off waivers from the Eagles. Hawkinson, a 2013 fifth-round pick of Cincinnati, did any snaps last year for Philadelphia despite being active for two contests. The 49ers announced on Monday that offensive lineman Jordan Devey has signed a one-year exclusive rights tender. The Niners acquired Devey from New England in August of last year and he went on to appear in 15 games with nine starts. The Panthers have signed punter Michael Palardy, Aaron Wilson of The Houston Chronicle tweets. Former Pittsburgh H-back Will Johnson has agreed to sign with the Giants on a two-year deal, ESPN.com’s Jeremy Fowler writes. Johnson can line up as a tight end, fullback, or running back and is also a special teams contributor. Johnson was reportedly looking to sign with a team that would give him more carries, so it’s possible that he will be a bigger part of the offense in New York than he was in Pittsburgh. The Lions have signed veteran tight end Matthew Mulligan, Field Yates of ESPN.com tweets. As players like Olivier Vernon and Malik Jackson signed huge, long-term contracts earlier this month, players like Broncos pass rusher Von Miller and Panthers cornerback Josh Norman were forced to watch, unable to land lucrative new mega-deals of their own. As Jason Cole of Bleacher Report (video link) details, Miller and Norman have been frustrated by the franchise tag system, which prevents star players from cashing in like some lesser free agents have. In Norman’s case, fellow cornerback Janoris Jenkins got a five-year, $62.5MM as an unrestricted free agent, but according to David Newton of ESPN.com, the Panthers haven’t gone to that $12.5MM-per-year range in their extension talks with Norman. If the Carolina corner had been able to reach the open market himself, he likely would’ve surpassed easily, so it’s not a surprise that Miller and Norman would like to see the franchise tag system go away, according to Cole. The Dolphins signed Isaiah Pead today, but they continue to seek running back help, and worked out former Buccaneers back Bobby Rainey, tweets Ian Rapoport of NFL.com. Rainey ran for nearly 1,000 total yards in 2013 and 2014, but had just five carries last season. After paying a visit to Pittsburgh, free agent offensive lineman Stefen Wisniewski met with the Eagles today, a source tells Rapoport (Twitter link). Wisniewski is arguably the top center still on the board, though he’d be unlikely to start in the middle if he were to sign with Philadelphia. The Chiefs hosted free agent safety Jeron Johnson for a visit on Wednesday, a source tells Terez A. Paylor of the Kansas City Star (Twitter link). After serving as a backup DB and a special-teamer for several years in Seattle, Johnson signed with Washington last year and appeared poised to get the opportunity to player more. However, things didn’t work out in D.C., and Johnson was cut earlier this month. In addition to having hosted Johnson, the Chiefs are bringing in another defender, linebacker Andy Mulumba, for a visit, per Weston Hodkiewicz of the Green Bay Press-Gazette (Twitter link). Mulumba, who has played 22 games for the Packers during the last three seasons, also visited the Patriots, according to Hodkiewicz. Todd Archer of ESPN.com explains how recently-signed free agent defensive end Benson Mayowa can opt out of his deal with the Cowboys after two seasons and hit the open market again in 2018.